This past weekend we were fortunate enough to be joined by the Edinburgh University Conservation Volunteers, aka “The Dirty Weekenders”. 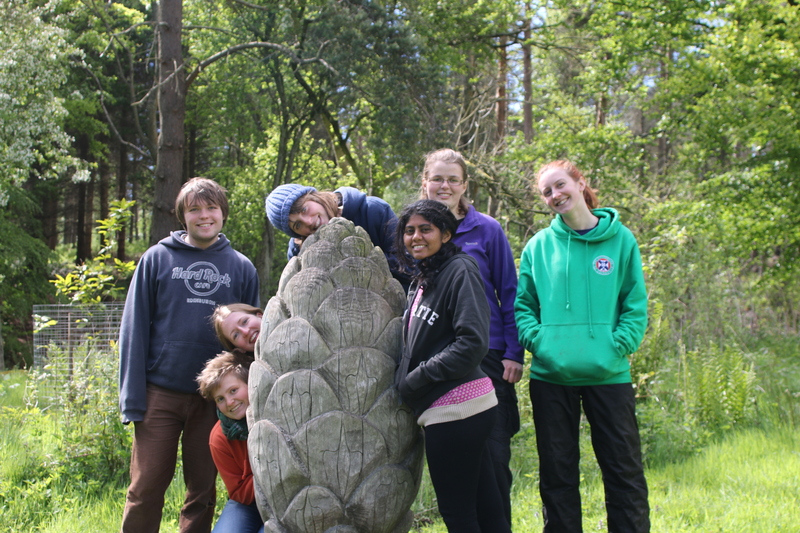 They are a student-run Uni society dedicated to carrying out practical conservation work, often along side local rangers and conservation organisations. They usually complete a project every weekend; undertaking work at a wildlife park, nature reserve or similar place in or around Edinburgh. 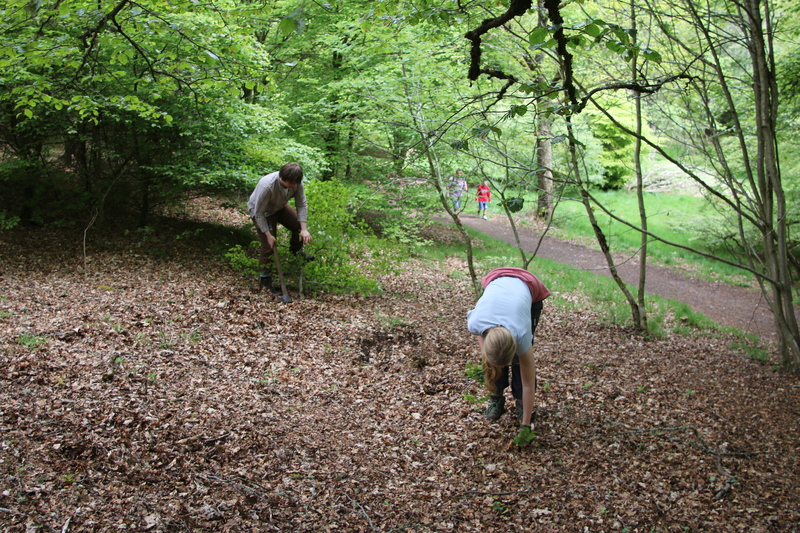 Kinnoull Hill woodland park, right alongside Perth, is a valuable resource for the people and wildlife of surrounding areas; boasting magnificent views, great biodiversity and a network of paths and cycle routes. There is a large mix of tree species in the woodlands, from coniferous species such as scots pine to deciduous oaks and rowan. In some areas the understory is dominated by young, fast-growing beech and sycamore saplings, which are not native to the park. 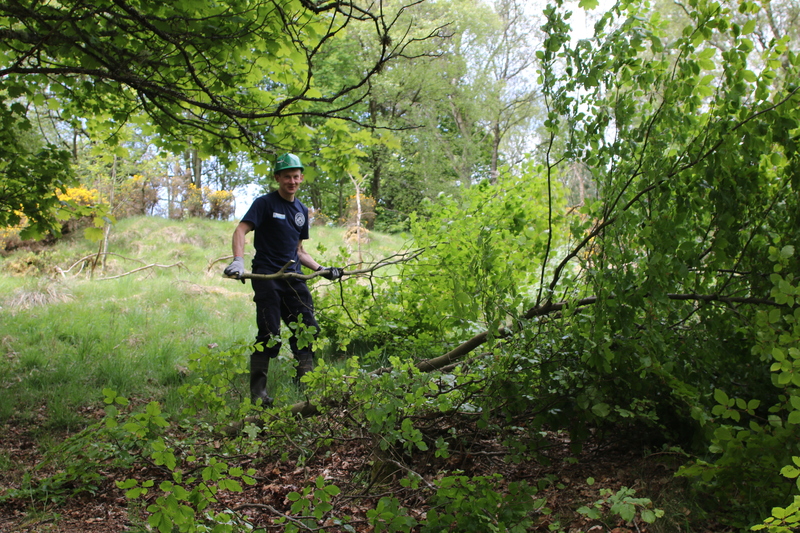 Throughout the weekend we aimed to clear some of the worst areas of these species to promote the growth of the native species of ash, scots pine and the slower-growing oak. The weather on Saturday was warm and very sunny, making it quite enjoyable to spend the day outside on this task. After a quick briefing on how to identify the target beech and sycamore, progress was made swiftly on some key areas alongside the paths. 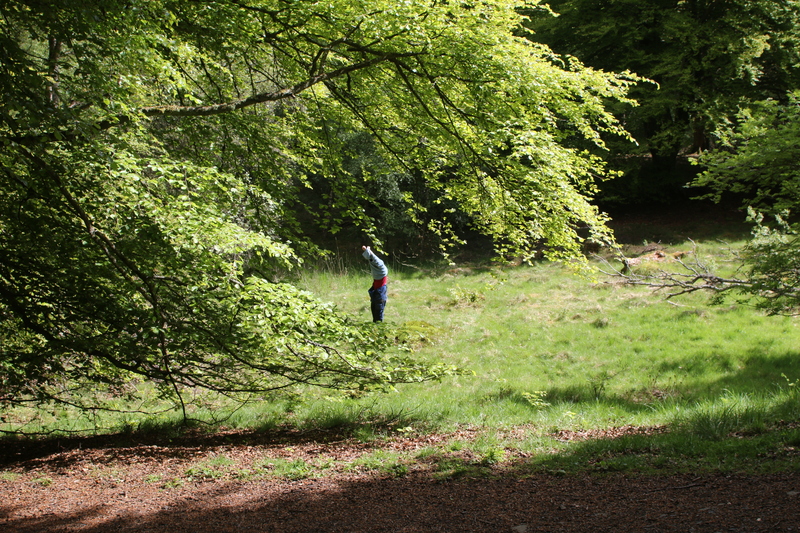 We would occasionally find and learn to identify other tree species including oak, hazel, ash and birch at a range of stages from sapling to mature trees. For the afternoon we moved onto an areas with slightly older sycamore. The chosen area had not been cleared for quite a number of years so was dominated entirely by the species. It was harder work to remove them here, as the soil was a bit tougher and the trees larger. 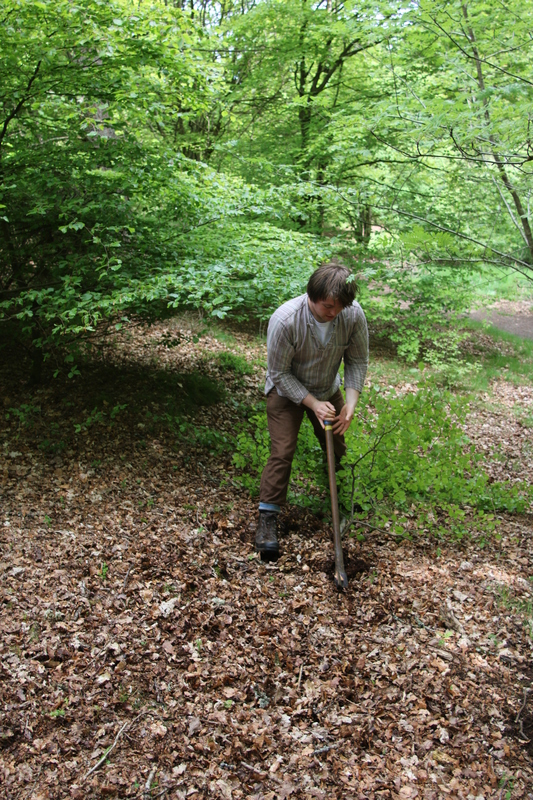 However, with the persuasion of a mattock or saw, the sycamore and beech were removed and made into habitat piles – these are great refuges for invertebrate, amphibian and small mammal species. Sundays work continued from the previous day, however heavy rain overnight appeared to loosen some of the soil and the sycamore were much easier to pull out by hand. By the time the volunteers had finished the area was completely transformed, giving a much better chance of survival to the young oaks. 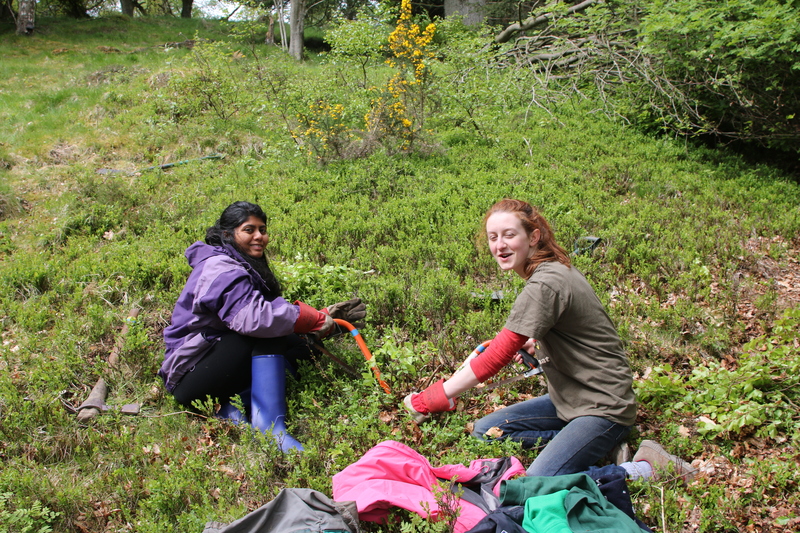 This entry was posted in Perth Area, Volunteer stories and tagged biodiversity, conservation, greenspace, nature, Perth, Scotland, volunteer, volunteering by Greenspace Ranger PKC. Bookmark the permalink.